Do you remember being a kid at big family get-togethers? I remember it being nearly impossible to sit and wait patiently while the grownups all talked for what seemed like hours and dinner was cooking. All I wanted was to run and play for a while, or sneak an appetizer, or find something fun to do. 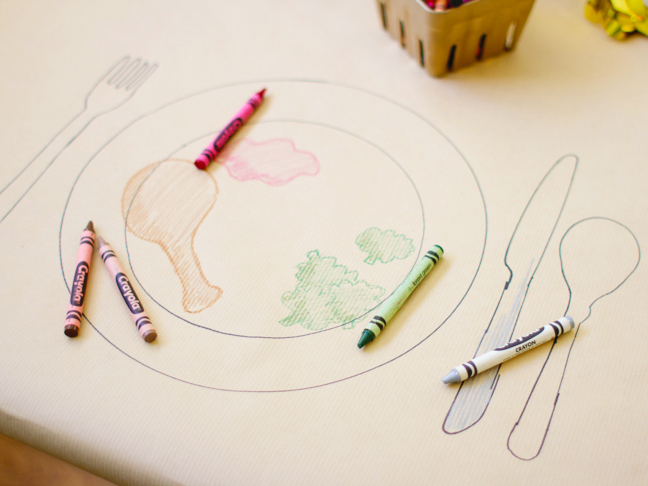 If you’ve got some kiddos to entertain at the dinner table, this kraft paper table setting might be just the ticket. 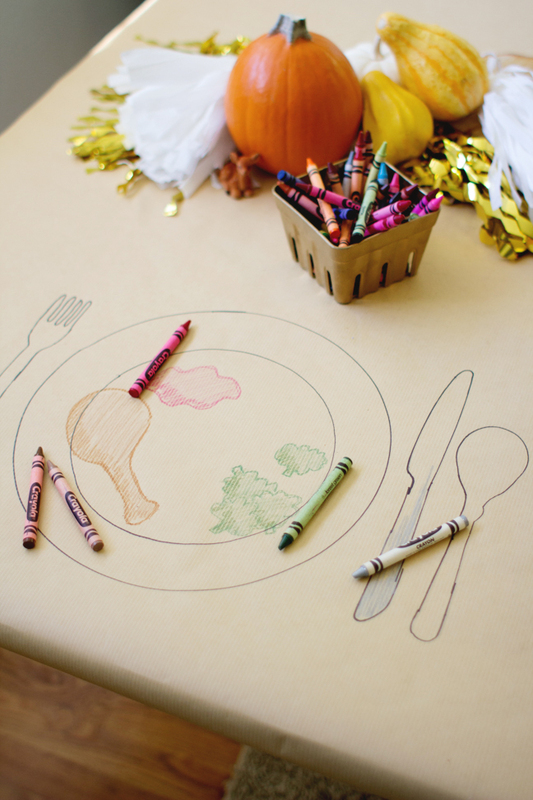 While you’re picking up supplies for your celebrations, grab a roll of kraft paper and make your own life-sized, dinner-themed coloring book for the kids. 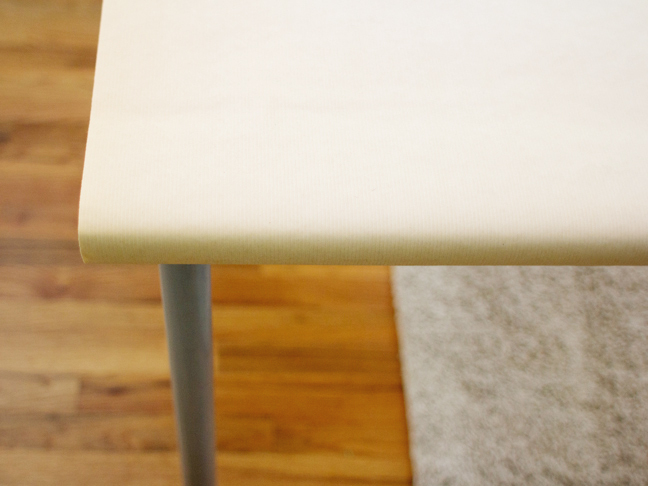 Step 1: Cover the kids’ table with kraft paper and secure underneath with removable tape. 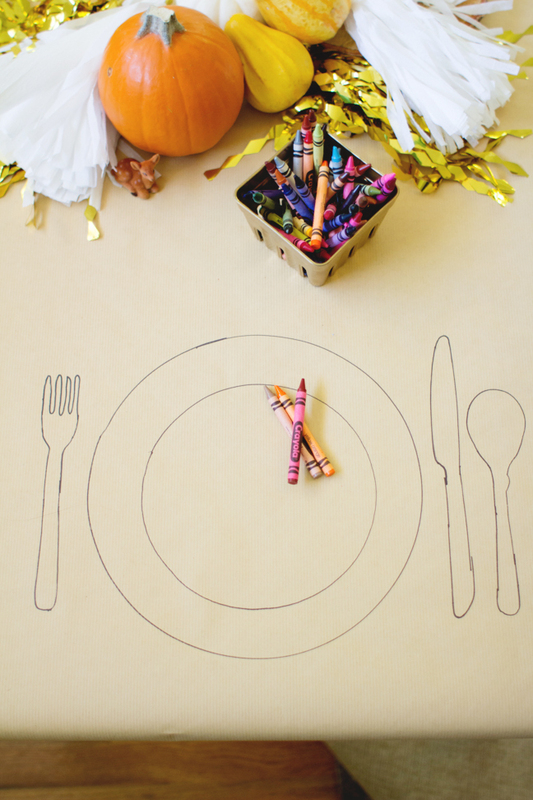 Step 2: Lay a place setting at each kid’s seat. 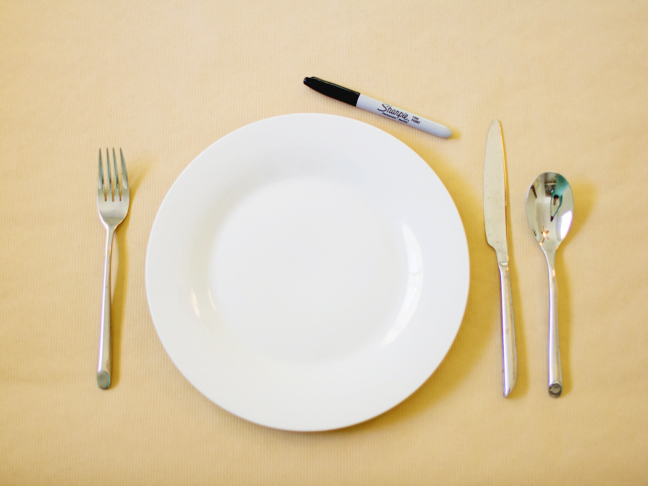 Step 3: Trace the outer edges of each piece in the place setting with the Sharpie. 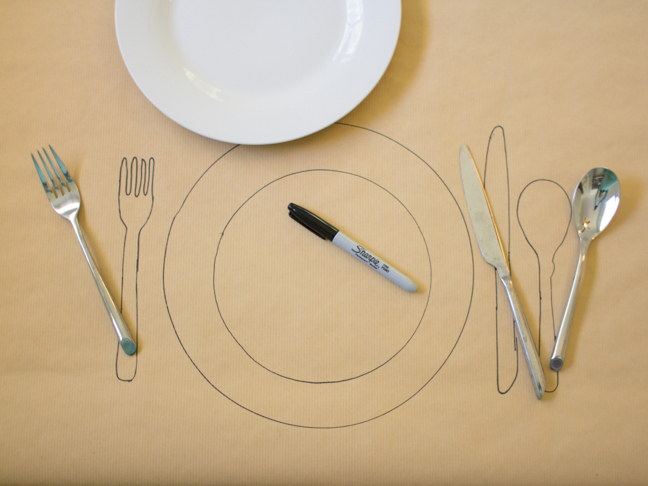 Keep it simple, or get more detailed and add glasses, napkins, and more! 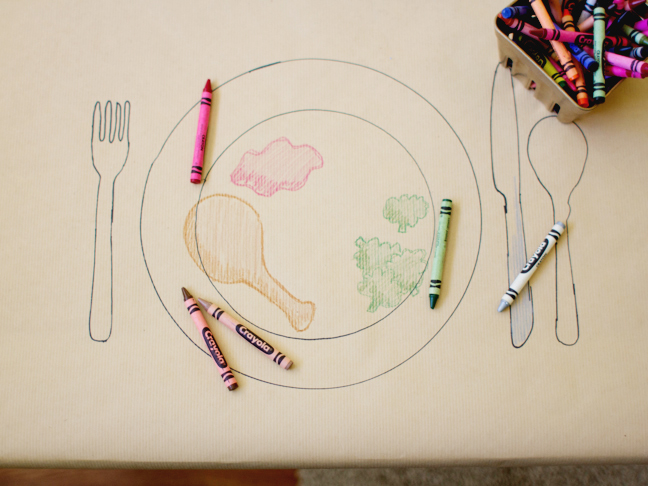 Step 4: Set out containers full of crayons around the kids’ table, and let them color in their place settings! 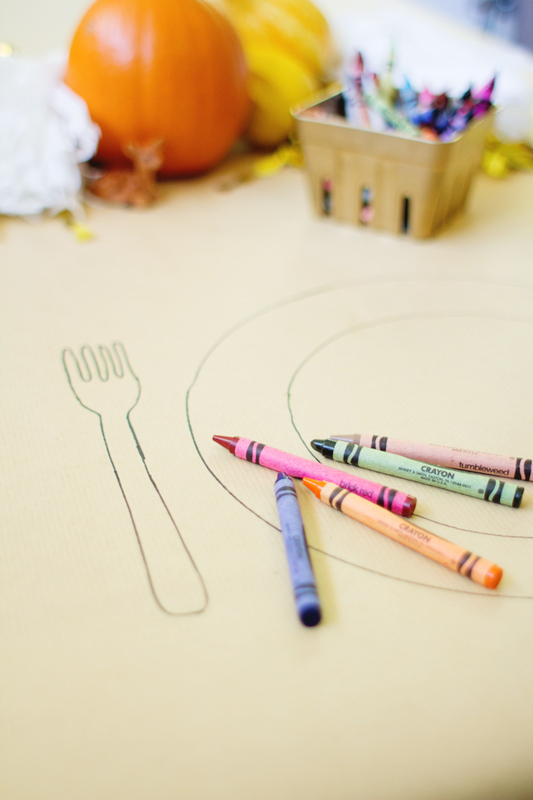 Encourage them to be creative—color in their food, make patterns on their plates, or even get in some spelling practice and write holiday messages on the other portions of the kraft paper. Step 5: Enjoy having the kids occupied while dinner is getting prepped!